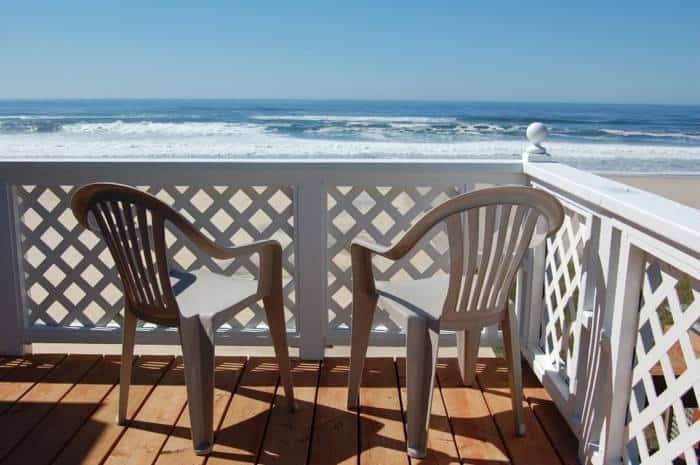 Spectacular views await you atop The Crow’s Nest. 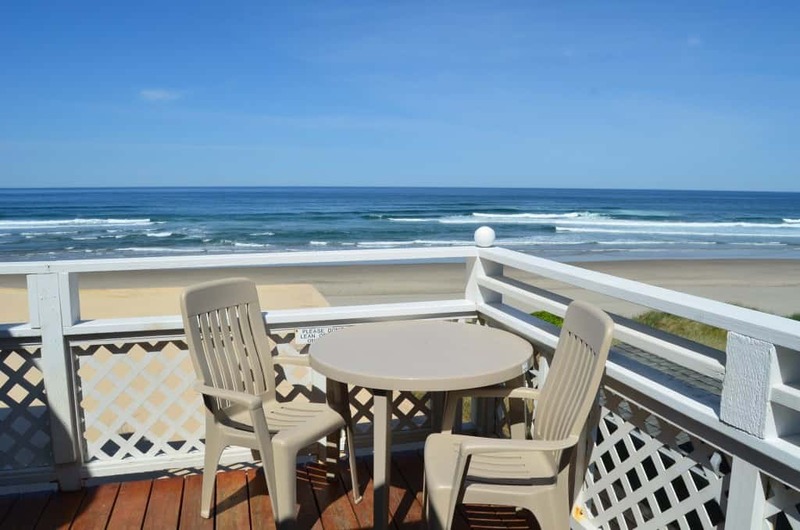 Enjoy a private rooftop deck with a bird’s eye view of Lincoln City’s best beach. 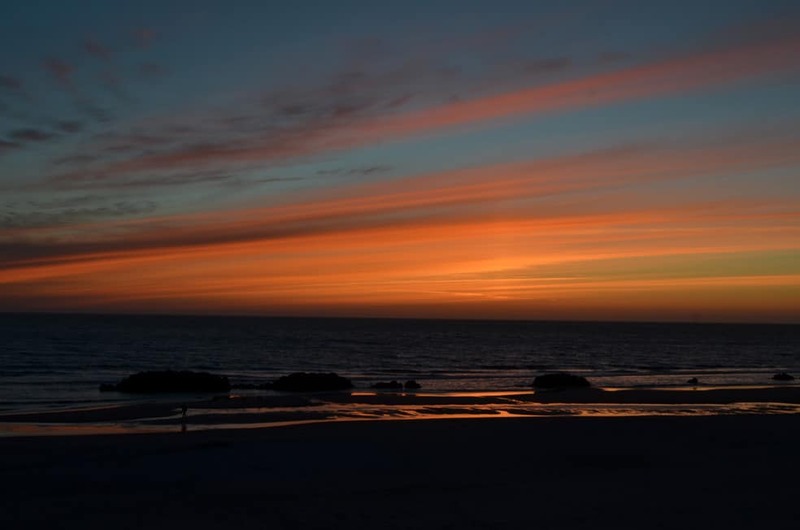 Perfect for kite flying or take a walk along miles of sandy beach. When the evening sets in, curl up next to a romantic fire in the floor to ceiling gas fireplace. The king bed is tucked away in a cozy alcove, you can lay in bed and watch TV or better yet, enjoy wonderful views of the ocean. This delightful studio offers everything you need and more, you won’t believe how well furnished this condo is. PS…. Its all in the journal….she said yes!!! I almost don’t want to write this because I don’t want anyone else to rent this place except for us! 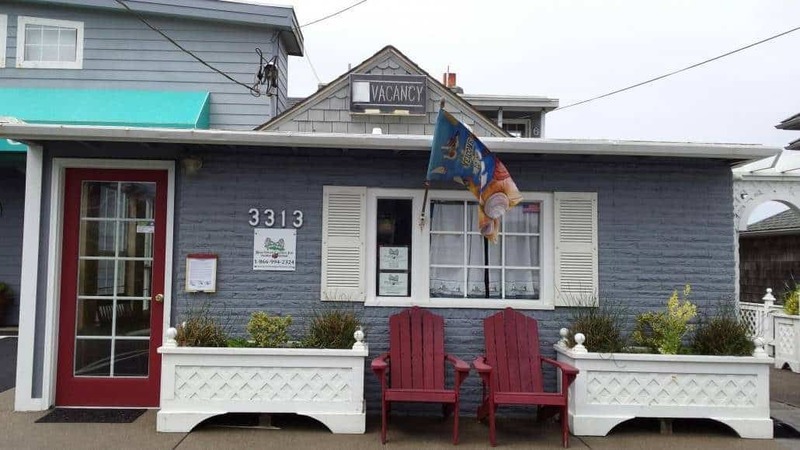 A tiny little studio with a lovely king bed, stunning ocean front view with everything one could want or need for humans and their dogs. We stayed twice this year and plan to visit every year as much as we can. Its a little pricey but well worth it. Located a couple blocks from the casino, there is easy back road access to safeway and dutch brothers. Stairs down to the beach and friendly guests in the other condos. We are always tickled with all the cute notes around the place and the accommodations for dogs. We cook all our meals there because every utensil and pan is available and it’s comfortable and homey yet up to date. The bathroom even has epsom salts with notes encouraging you to bathe your weary bones. 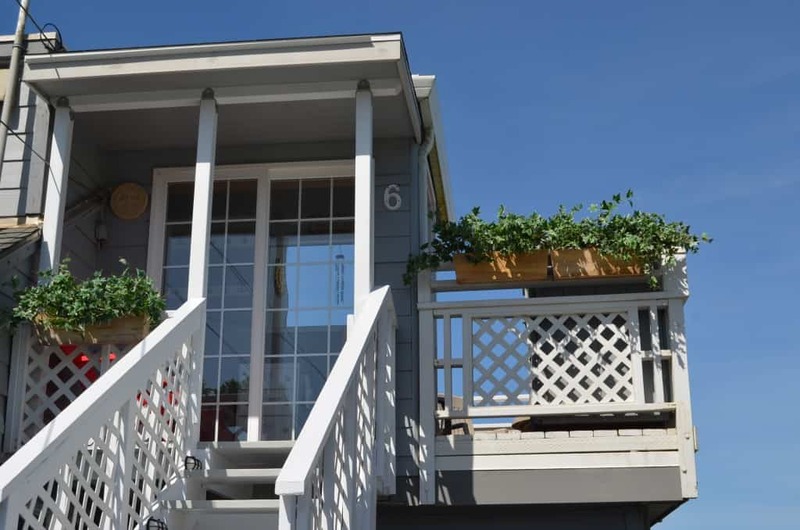 The deck is private and the stairs leading up to the condo give the whole space a sense of having your own private space. This place is a real find. Literally no complaints. This place is great for a relaxing weekend on the beach. The view of the water from the condo was just as expected. The easy beach access was perfect. 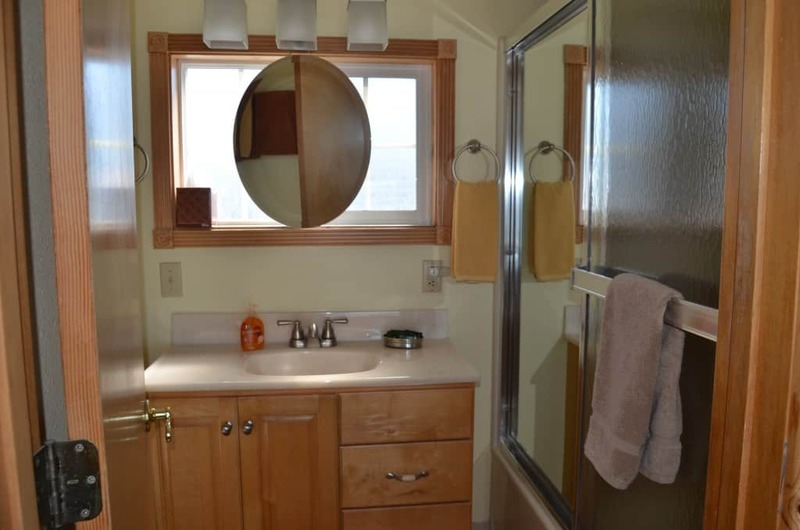 Clean, great location and everything you need! 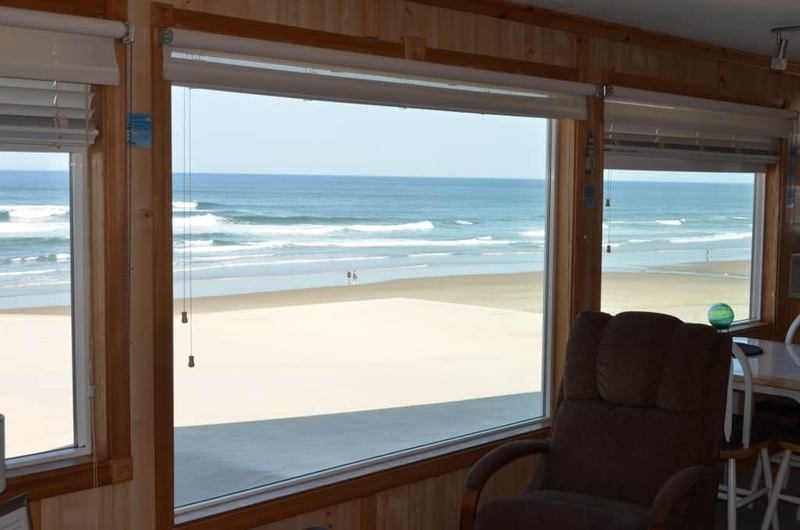 This was a perfect place for my husband and I to stay at in Lincoln City. 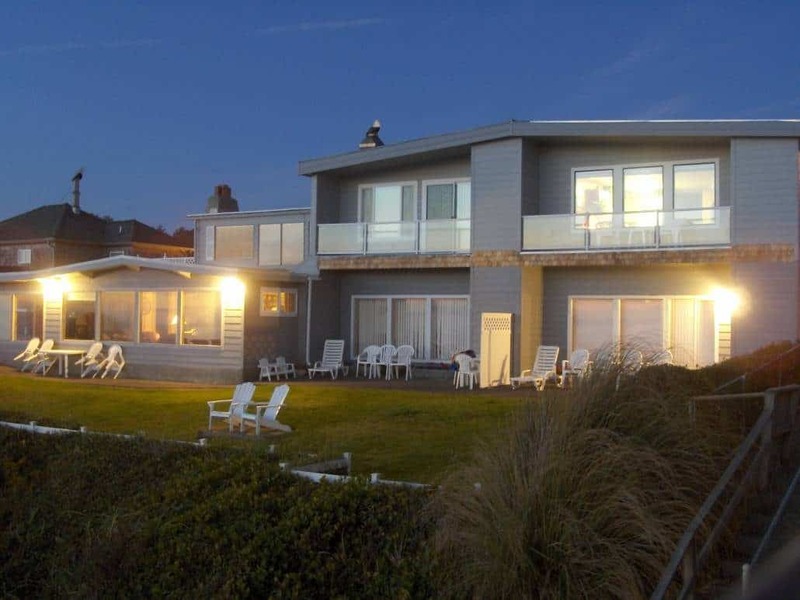 The location is great-right on the beach. The huge windows offer great views. 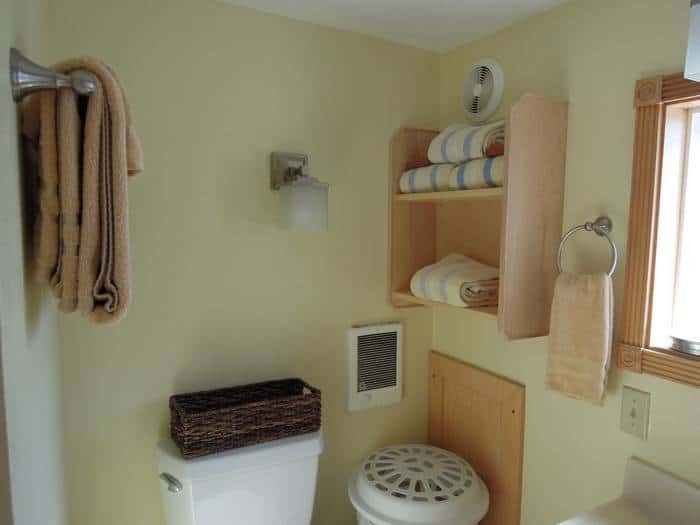 The house has everything you need from emergency kits in the bathroom to a well-stocked kitchen. I LOVED the little additions for our furry friend (treats, toys, extra towels, etc). You can tell they love dogs 🙂 We highly recommend and will be staying here again! Loved this place! 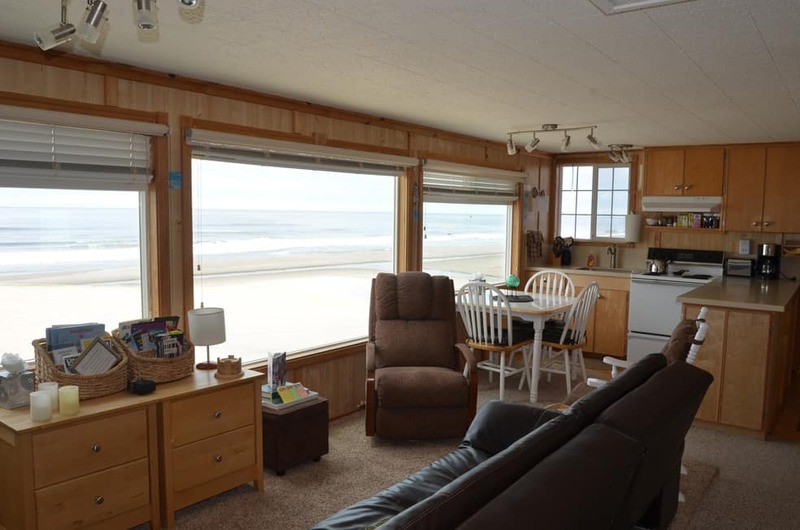 Close to beach with awesome view from private deck to sitting on the living room couch! Wish we had a week and not two days! 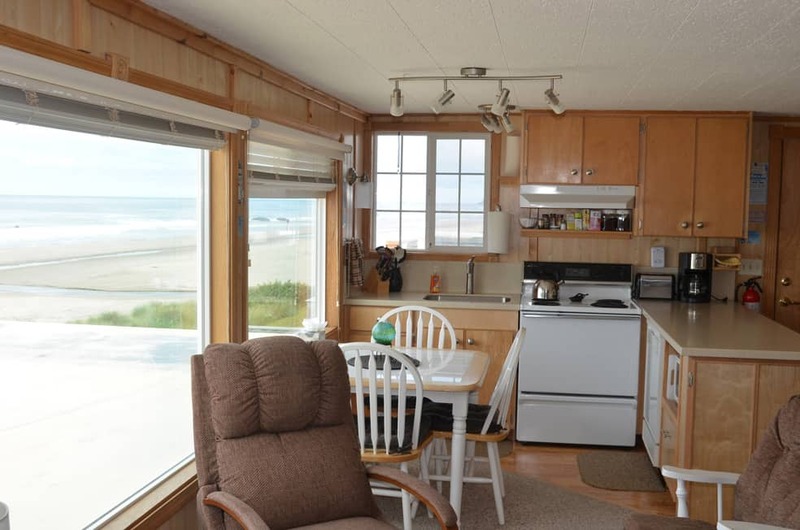 Great location, tremendous views, and all the comforts of home. This unit is cute and comfortable! 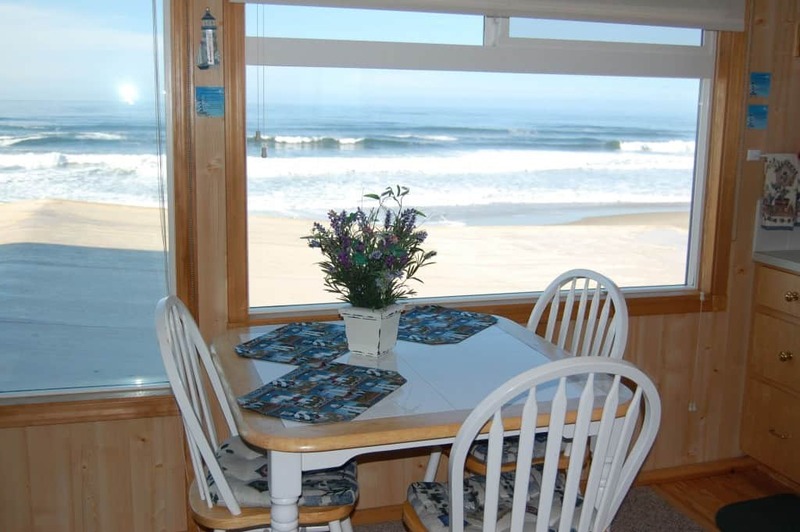 Spectacular views and easy access to the beach. 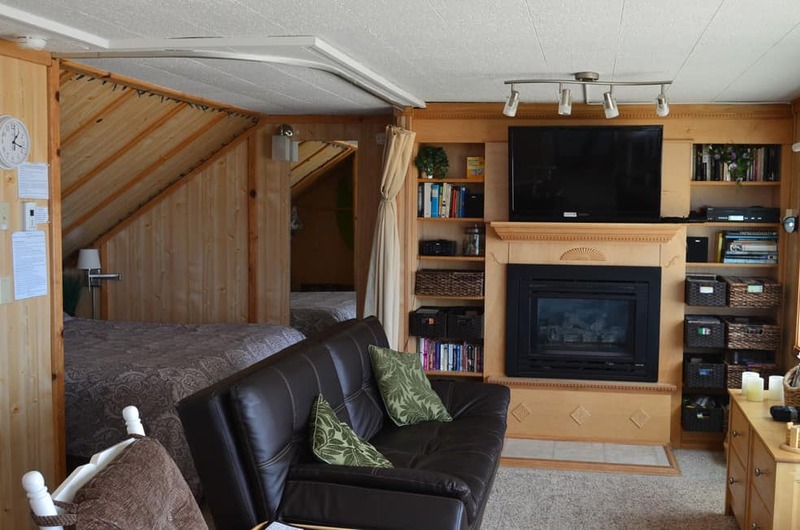 New owners have put some nice touches on the unit-including a television that swivels to face the king bed. We appreciated the fully stocked kitchen and all the little treats that the owners provided. The private deck is a bonus. 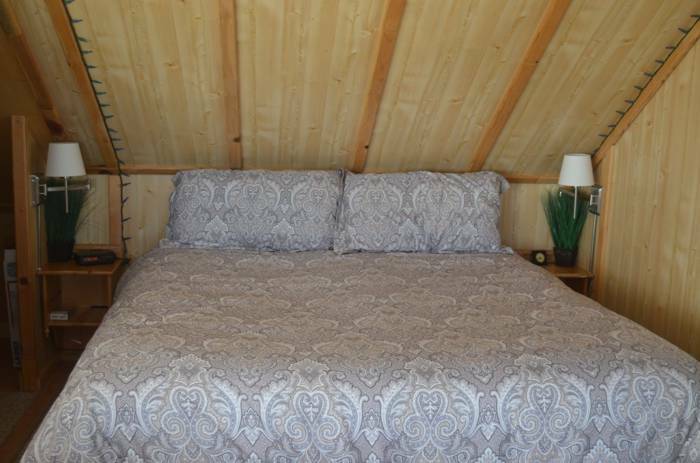 Highly recommend this property! Great little condo, very welcoming to my four legged friend as well, there were even treats and toys. Even had DVD’s and CD’s for me since the weather kept us inside most of our stay. Excellent location wish I could have stayed longer. 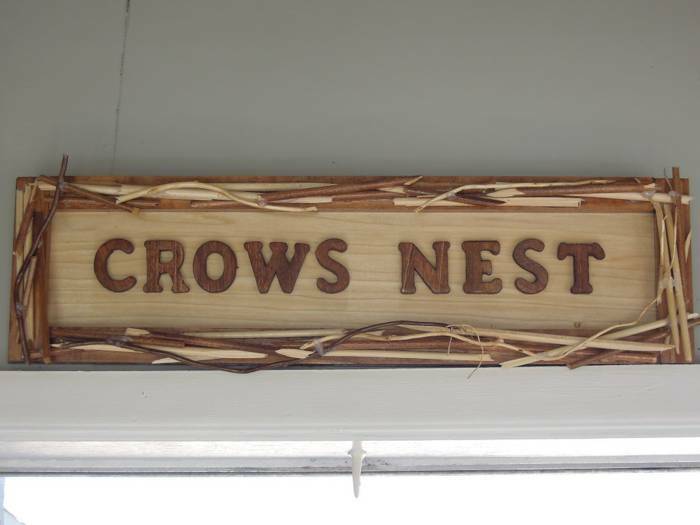 We loved everything about the crows nest… From how pet friendly the owners are to waking up the 1st night to a strange sound… After doing some investigating the strange sound was the ocean waves crashing on the beautiful beach out front, now that’s how close to the beach you are people… You must stay here to experience this wonderful nest, views, community and peace!! 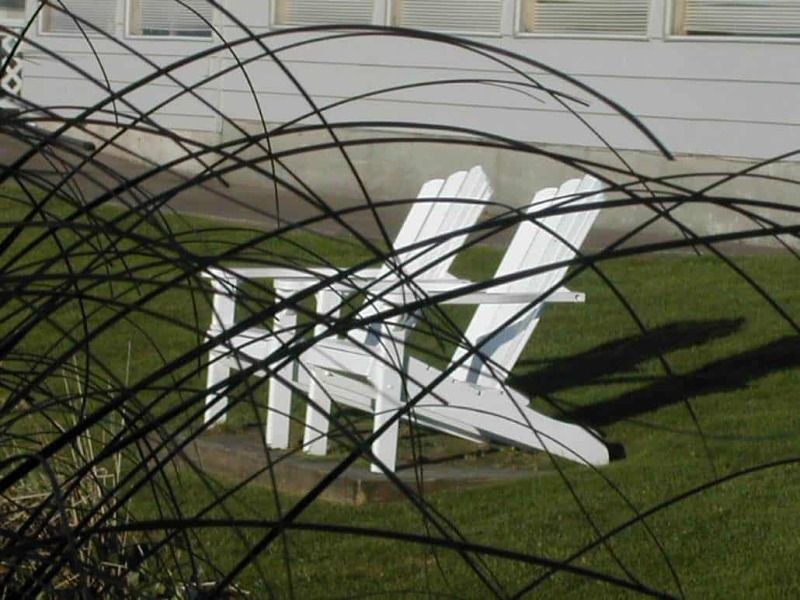 Hey Buddy!, I found this information for you: "Beachfront Garden Inn #6 “The Crow’s Nest”". 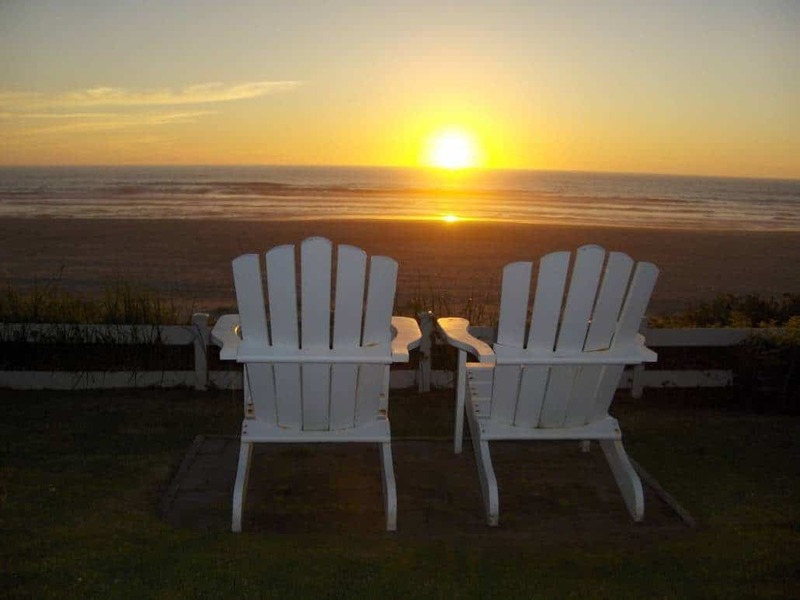 Here is the website link: http://beachfrontgardeninn.com/hb_accommodation/crows-nest/. Thank you.